Are you overwhelmed by the pressures of school, friends and family? Do you feel like no matter how hard you try, you let someone down? Let yourself down? Do you find yourself wishing your life were different, but don’t know how to change it? 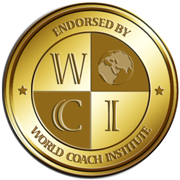 Whether you have a specific goal in mind or a conflict that is standing in your way, life coaching can help you manage stress, overcome obstacles, and figure out what you want out of life. Being a teenager is a journey, but it doesn’t have to be a struggle. “Life coaching is a partnership. We work together to determine your goals, overcome challenges and close the gap between where you are and where you want to be for a happier, more balanced life.” A goal can be anything: build new friendships, earn better grades, get along with parents and peers, explore new passions, get motivated, plan for your future, set more realistic expectations for yourself and your time… It’s anything you want or need. You don’t have to know what is holding you back, only that there is a barrier between where you are and where you want to be. Some struggles may be apparent to you such as a conflict with friends or family or the pressure to meet high academic standards. Others build up within you over time. Negative thoughts and feelings may seem secondary because you can’t see them, but they are habit-forming and every bit as much of a barrier to your happiness. The important thing to understand is that life coaching is all about YOU! Your family, your friends, your school, your circumstances and the desires you have for your life. Life coaching is Not about giving you the answers or telling you what to do. It’s about helping you find the answers within yourself. Then giving you the guidance and support you need to ‘make it happen’ using skills and strategies you can apply both now and in the future. Life Coaching is Not Therapy… Therapists are traditionally treatment-oriented and often look for answers in the past. Coaches are goal oriented. We acknowledge the past, focus on the present/future, and encourage you to determine what’s right for you. Know your options. Choose your course! I create a safe space where you can come and share whatever is weighing on your heart and mind. There are no judgments here. Nothing getting in the way of an honest, open relationship that exists for the sole purpose of making your life better. As a teenager, you may feel life your path is pre-determined because milestones have been laid before you and you are traveling down the same road as an entire peer population. When you’re in a crowd that big, it can be hard to maintain your individuality and easy to lose sight of your personal goals. You see what your friends are doing and you don’t want to be left behind. So instead of setting your own pace, you hurry. Sometimes you get moving so fast that you miss the opportunity to set goals to reach your own coordinates. Life coaching is about more than setting and achieving your immediate goals (which we will do). It’s about building your personal roadmap. This begins with you really getting to know yourself and learning to listen to your inner voice. Because that voice is the root of your passions and the source of your strength. Your inner voice isn’t something that needs to be developed. It doesn’t need to grow up for you to hear it. And neither do you! I can help you discover your inner voice and use it to your advantage to live the life you want to live. Teenagers are under a tremendous amount of pressure today. To take the right classes, have the right friends, get the best grades, be the best athlete, get accepted to college (a good one) and earn scholarships. Some have the additional responsibly of maintaining a part-time job, or live with a disability of some kind. The expectations teens manage, the resources they have and the support they receive may vary, but one thing is universally true – Teenagers today are stressed out! This is why many teens and parents alike are seeking a life coach to them get in touch with their strengths, find balance, and learn positive strategies for managing stress now and in the future. If you want your teen to work through challenges achieve positive results quickly, a life coach can be a powerful resource. Complimentary Consultation: This a complimentary, up to 30-minute, consultation for a parent or teen interested in learning more about teen life coaching in the context of their unique situation. Click here to schedule online now! Packages: I offer multiple teen coaching packages to meet the varying need of teens and their families. Sessions are 45 minutes in length and may be held in person or by phone. We will meet once a week, for the length of your package, at a pre-arranged time and place. Please note that I honor your privacy and all sessions are confidential. I will not share private information without your permission, except in the rare instance I am obligated by law. After each session, I will send you a summary outlining what we discussed and your action plan for the week – broken down into steps. This provides you with a measure of accountability. It also allows you to ‘be present’ in our session without feeling the need to take careful notes. I will send you this to prep sheet a few days prior to our session. It’s a way for you to acknowledge your success, address any challenges you faced and prepare to get the most out of our next coaching session. I will review this in preparation of our time together as well. I offer email support between sessions to expedite your progress and maintain your momentum. If you encounter an obstacle between sessions, I encourage you Not to Wait! Contact me when an issue arises so we can work through it before it becomes a setback. This will help keep you on track to achieving your goals. I am 100% committed to your success. I want you to achieve your immediate goals and go on to make more meaningful life changes. That is why I make myself available to you with email support during your coaching program and also offer a cost-effective monthly maintenance program designed to keep you on track. "Anne Kosem maintains an inner strength and balance that is incredibly powerful. Her approach is genuine. It comes from a place of knowledge and what I like to call 'centeredness.' She has helped me enhance my communication skills, which has had a positive impact on both my work and personal life. Because of her, I have a new awareness about the way I communicate and the boundaries that I need to maintain. The action steps we developed together have kept me true to myself and mindful of how to proceed in all ways for my greater good. She has helped me change my life in amazing ways. "Anne, you have touched my heart. You are just so inspiring and motivating for a person like me who is struggling. Someone who is trying to figure out which direction to go with her life. Thank you for listening to me and believing in me. It is the Most Powerful Thing to have someone really believe in you! It gives me the strength to do what I have to do. I am astonished by all the positive changes I see in my life already, and with your help, I know I'm going to get there! You are a role model to me, my dear dear coach." “My first experience with Anne was not a face-to-face, but rather an email exchange. There was a strong, positive energy that came thru from her during that exchange. I knew I was in for both a valuable, but challenging journey. Anne is a strong, engaging guide. She listened "between my words", helped to shape our conversation and brought clarity to my thoughts. She did not pretend she knew all the answers. Rather she, very quickly became a partner whom I could trust with those deep thoughts. She did not approach our conversations nor her guidance with judgement. But come prepared to work hard to improve your own life. She will not do that for you. There are not enough good things to say about Anne!" "I began working with Anne as a graduate student, in hopes I would get validation I was doing the right thing. Through the life coaching process, I gained so much more than that. During one of the most challenging times in my life, Anne helped me realize my true calling in the field of counseling. She taught me how to make good decisions and life choices, while never losing sight of my true needs and desires. Anne helped me become more in tune with my energy and the energy around me and use it to benefit others and myself. She has also shown me how to listen to myself so I recognize when I’m doing the right things for me, without getting validation from others. She helped me define my true purpose in life."